Zelinsky, Paul O. Very Good. 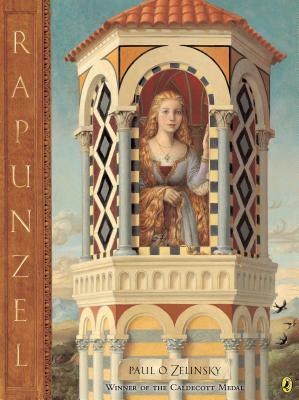 Rapunzel (Picture Puffin Books) by Zelinsky, Paul O., 2002-10-01. Trade paperback (US). Picture book. Glued binding. 48 p. Contains: Illustrations. Picture Puffin Books. Intended for a juvenile audience. Zelinsky, Paul O. Good. Rapunzel (Caldecott Honor Book) by Zelinsky, Paul, 1997-09-25. Sewn binding. Cloth over boards. With dust jacket. 48 p. Contains: Illustrations. Intended for a juvenile audience. Just thought I should give up I would look on Alibris Books and OMG there it was. Thanks again to Alibris Books I found what I was looking for.